Olive Garden is one of the most recognized names when it comes to Italian cuisine. They were founded in 1982, and now have over 800 restaurants open across the U.S. and Canada. As one of the more successful chain restaurants in the U.S., Olive Garden has seen a lot of growth, and they continue to be one of the first choices when it comes to families eating a nice meal out. Before you apply for a job at Olive Garden, here are some of the basics that you should know. There is also a need for managers. Management roles may vary from location to location, but pay for this tends to start out at about $35,000. General managers can see their pay go up over $80,000 once some experience is gained, especially if the store is creating a large amount of profit. And because Olive Garden is part of a large company, with many different locations, district and regional management is also needed. Through the parent company, Darden Restaurants, Inc., corporate positions exist. These are mostly located in Florida. Olive Garden is one of the most frequented Italian eateries in the U.S. They are part of a much bigger corporation, and as a result of this, they have a much more reliable source of stability and revenue. This creates a lot of job opportunities, a ton of upward mobility potential, and attractive employee benefits. Many stores are franchises, and benefits differ from location to location, but full time employees can count on having health insurance at the very least. Managers will have many more benefits than other positions within the company. Some positions at Olive Garden will be available to those as young as 16 years old. This includes bussers, mostly. Because Olive Garden does serve alcohol, other positions require you to be a minimum of 18 or 21, depending upon your state of residence. Other than this, there are not many formal education or experience requirements for entry level positions. Bartenders should have some experience in mixology, and managers are expected to be at least age 18 with a high school diploma or GED. For entry level jobs at Olive Garden, though, the biggest requisite is your personality. Hiring managers look for people that are friendly and hardworking, with a high likelihood of getting along with coworkers and customers. It is expected that Olive Garden employees be customer oriented first and foremost. 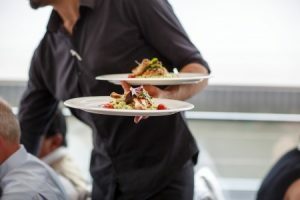 This is a job centered around creating a great dining experience, and it doesn’t matter if you are bussing tables, cooking food, or serving it, your goal should be to give the customer exactly what they came into the restaurant for. The better you are at this, the better tips you will receive, too. You should be friendly, able to help customers find what they’re looking for, all while being able to engage in small talk about drive sales. A customer might not know exactly what they want, or they might want something that isn’t exactly on the menu, and being able to meet their needs without causing extra headaches should be a priority. This job is, again, all about giving customers a great dining experience. It is expected that you be a hard worker and always be at work when you’re supposed to. A good deal of success in this company, after your attitude, is your attendance. Having a flexible schedule, being present and on time for all of your scheduled shifts, and being willing to fill in for coworkers once in a while will help you to advance here in a big way. Your first step in gaining employment here is to fill out an excellent application. This can be found on the Olive Garden website, or you can get a paper copy at many restaurants. The online application can be found at the bottom of the home page, under the “Find” header. Just click on the “Careers” button, and you will be able to get started from there. Be sure to take your time filling this out, setting aside about 45 minutes devoted to just this. Be accurate and thorough, and bring your relevant work experience and helpful traits to the center of the hiring manager’s attention. Even if this is the first job that you’ve ever applied for, you’re likely to have skills that will help you show what you’re capable of. Groups in school might help, as can any sort of community service or volunteer work you’ve done. Basically, they want to see that you are responsible and have a good work ethic. At your interview, be sure to be friendly, polite, and professional. Preparing for an interview ahead of time can be helpful, and having a few main points that you’d like to bring up in your head beforehand will help you to be sure to focus on your highlights. It can also be quite helpful if you think of a few questions that you’d like answers to for the end of the interview as this shows that you’ve put thought into the position and are sincerely interested.